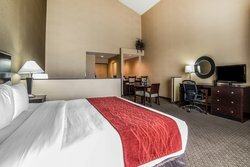 Choose the best in affordable accommodations with our modern lodging in Ogden, Utah. 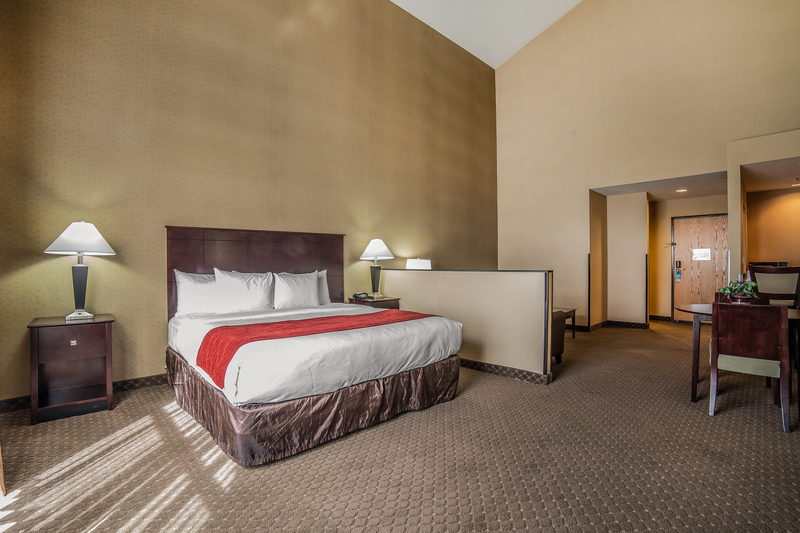 Our pet-friendly hotel located off I-15 offers excellent features and amenities as part of your stay including free WiFi, microwave, refrigerator, work desk, pillow top beds, and sleeper sofas in every suite. 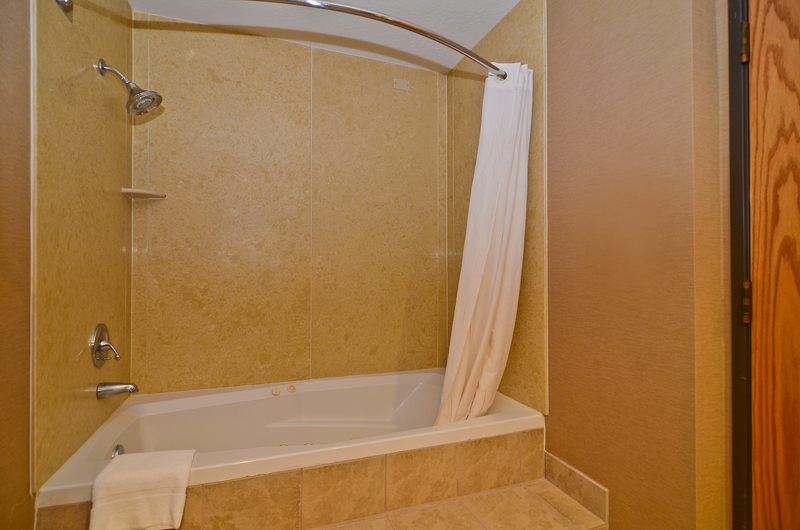 Elevate your stay with our hotel suites in Ogden, with relaxing Jacuzzi tubs and wet bar space. 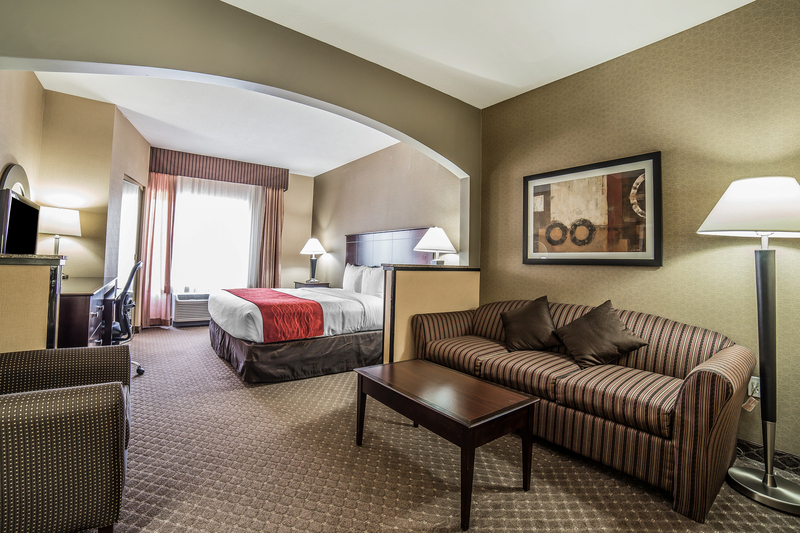 It’s easy to enjoy the comforts of home at Comfort Suites Ogden. 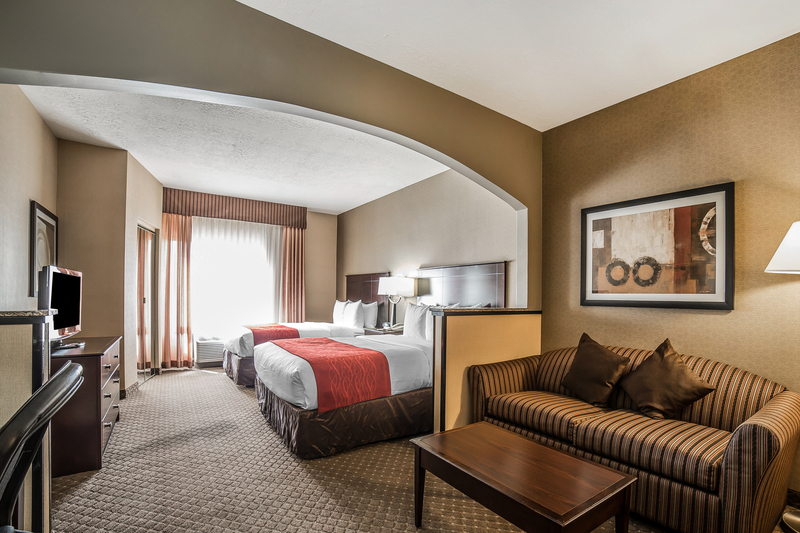 Complete with friendly service and sleek décor, our contemporary hotel is the ideal choice for the modern traveler. Make use of our many on-site facilities including our 24-hour fitness center, indoor pool & hot tub, outdoor tennis court, and meetings & events space. Order room service from 5 PM to 9 PM from our on-site restaurant, Cactus Red’s! 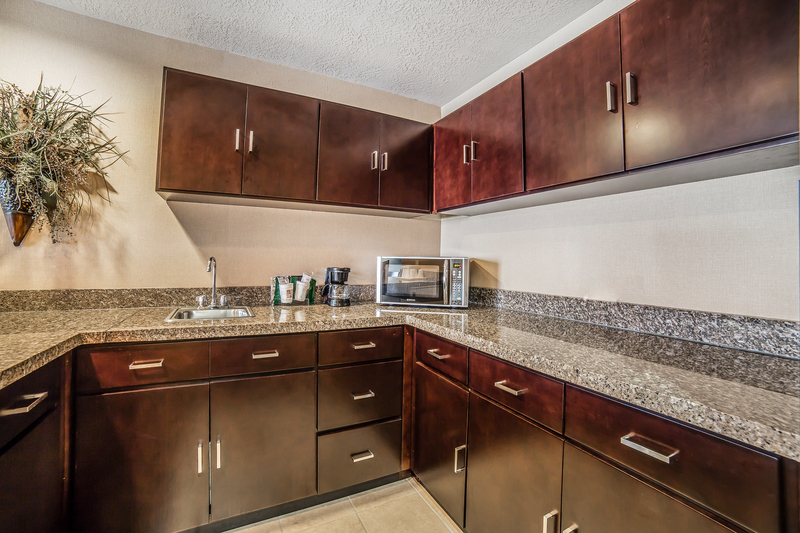 We encourage you to make yourself at home at our lodgings in Ogden, Utah. 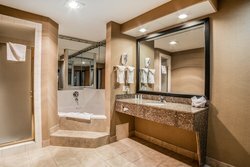 Enjoy the luxury of a beautifully furnished room with Jacuzzi in Ogden, Utah. Rest comfortably in King bed outfitted in crisp white linen. 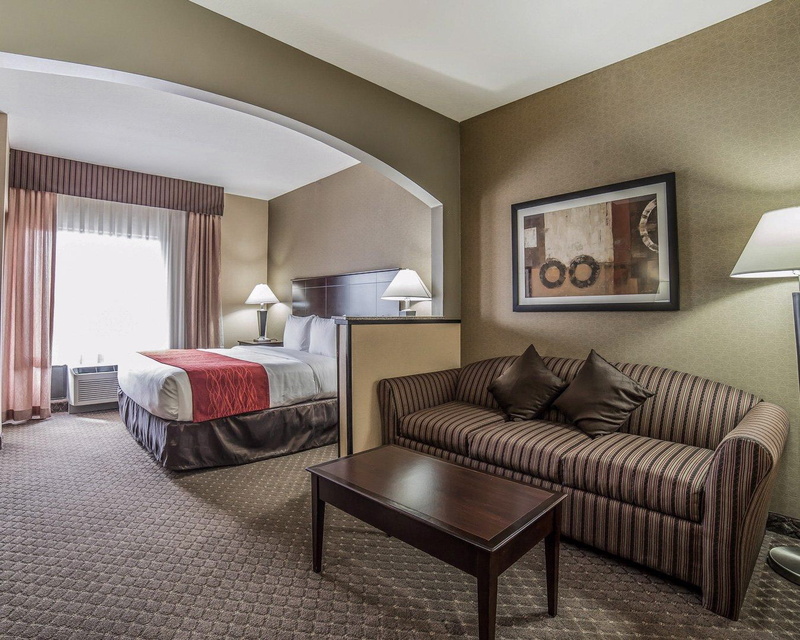 This spacious suite features a sofa sleeper, mini fridge, microwave, coffee pot and sink area. 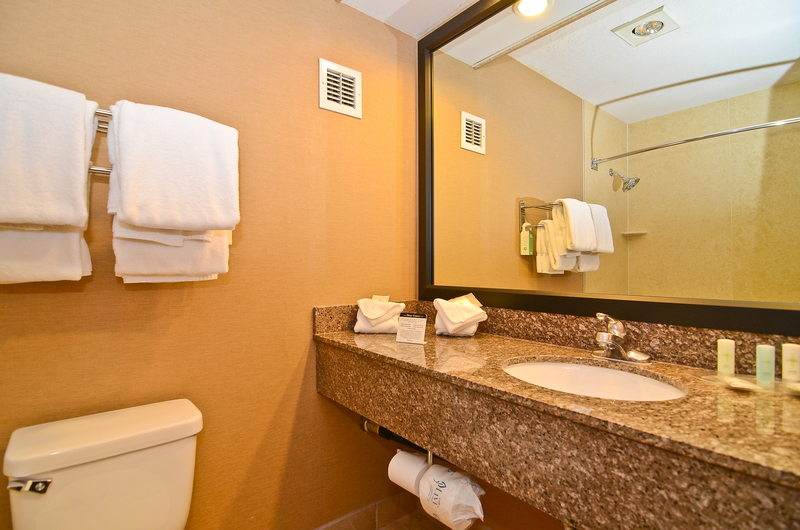 Our guest bathrooms are well-appointed and feature high-quality bathroom amenities and soaps. Enjoy this spacious suite as part of your stay in Ogden, Utah. This room features a cozy king bed, sofa sleeper, mini-fridge, microwave, coffee pot and sink area for your convenience. * This room is available with and inspiring mountain view. If you are a light sleeper please request Mountain View at the time of making Reservations. Perfect for groups and families traveling together and seeking larger hotel suites in Ogden, Utah., This spacious suite features two queen beds, sofa sleeper, mini-fridge, microwave, coffee pot and sink area for your convenience. 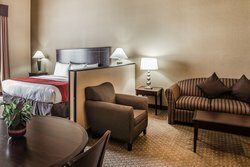 This spacious suite features two queen beds, sofa sleeper, mini-fridge, microwave, coffee pot and sink area for your convenience. 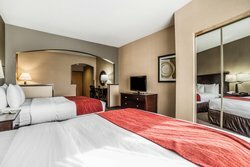 Perfect for groups and families traveling together and seeking larger hotel suites in Ogden, Utah. 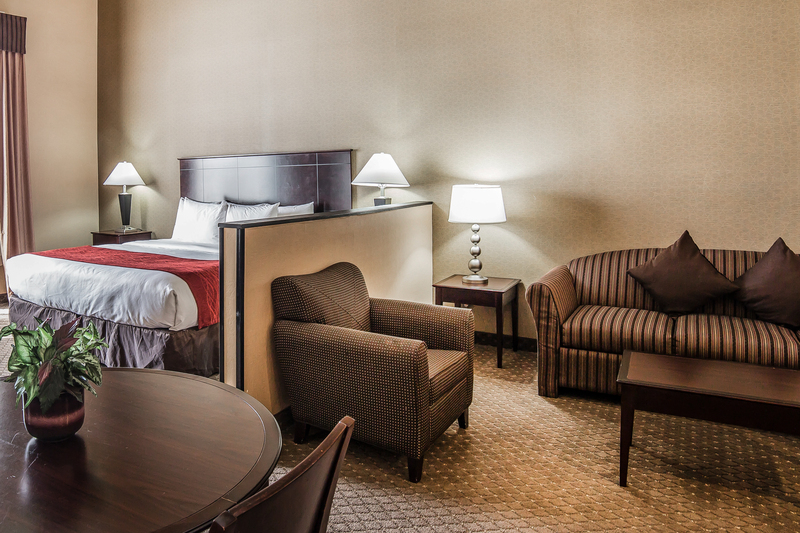 The Club Suite offers an enhanced level of comfort with a larger living area, vaulted ceilings, and a dining area. 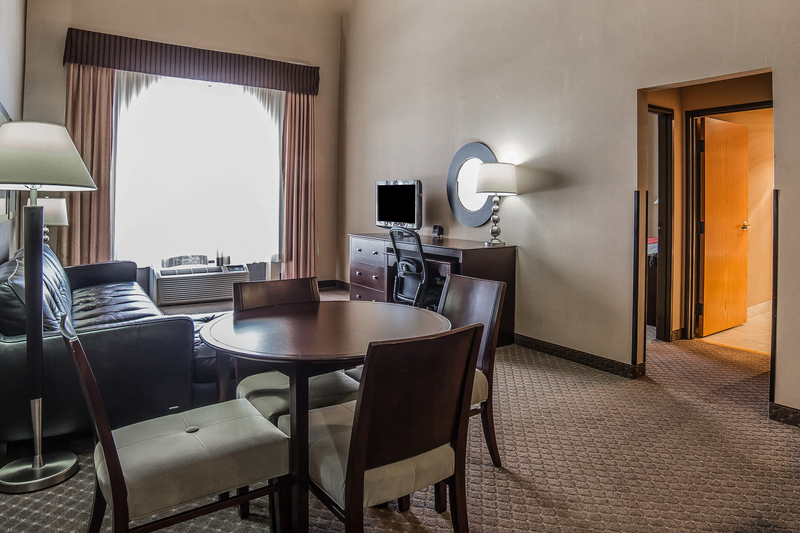 Perfect for corporate guests looking for a place to stay productive and relaxed. 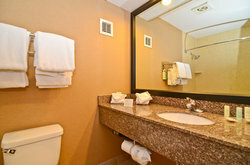 This suite also features a sofa sleeper and area with a mini-fridge, microwave, coffee pot, and sink. 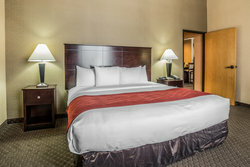 Our pet-friendly hotel located off I-15 offers excellent features and amenities as part of your stay including free WiFi, room service from 11 AM to 9 PM, pay-for-view movies, microwave, refrigerator, work desk, rollaway beds upon request and pillow top beds. Feel right at home in our most spacious and private Honeymoon Suite. Whether you're celebrating a romantic getaway or you're just looking for some additional space to stretch out and be yourself, elevate your lodgings in Ogden, Utah with this luxurious choice. This beautifully furnished suite features a kitchenette, 2-person jetted tub and spacious lounging area. 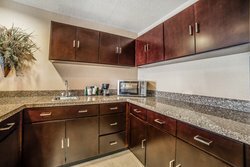 This beautifully furnished suite features a kitchenette, 2-person jetted tub and spacious lounging area.